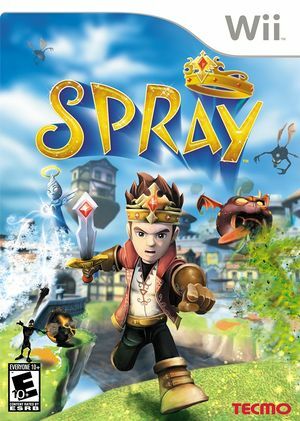 SPRay is an action-adventure game in which you play an eccentric Prince who must save his village from a banished evil Queen who's returned to capture and enslave the villagers. After donning a magic crown which summons two liquid spraying spirits of the Prince's personality, he sets out to defeat the evil Queen and her army of anti-matter soldiers. Use the "good" and "mischievous" spirits to spray water, oil, goo, and other liquids on enemies and surfaces to help you solve puzzles and wipe out evil! The graph below charts the compatibility with SPRay since Dolphin's 2.0 release, listing revisions only where a compatibility change occurred. This page was last edited on 12 February 2018, at 05:53.